← What Have We Learned From Serial Killers? I am restating a well-known fact when I share with you that I love dogs. I believe that our canine companions are some of the best friends we can have. I value this relationship so much that I made it a focal point of my latest novel, Silent Partner. So, I am disturbed and saddened when I read stories about those who make the decision to harm an animal. 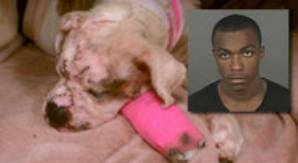 Matthew Weatherspoon, who is only nineteen years old, pleaded guilty this week to one count of aggravated cruelty to animals after he stabbed his puppy bulldog in the face five times. Weatherspoon originally claimed self-defense, but he showed no appearance of fending off an attack from his pet. The young dog is recovering well in the care of a foster family. Weatherspoon was sentenced in a Denver courtroom to thirty months of supervised mental health probation and 100 hours of community service. The judge determined that confidential information about the man’s childhood made a compelling argument that prison time would not be the most appropriate consequence, but he could face three years in prison if he is not fully compliant with the requirements of his probation. We are not able to know what Mr. Weatherspoon faced in his youth that caused him to lash out in violence against a puppy, but I hope that he is able to receive the help that he needs during his probation so that he can reenter society without being a threat to animals or the people around him. This appears to be another sad example of abuse or neglect leading to a cycle of violence that is only broken when someone is caught for truly tragic behavior. Forensic psychology is not just a field in which people can study the motivations of serial killers and pedophiles, but also try to understand why someone would take a knife to the face of a small and friendly dog. I hope that we can learn more and know the signs that will prevent horrible events like this from happening again. 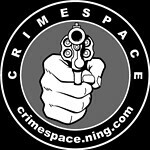 This entry was posted in Criminology, Silent Partner and tagged animal cruelty, author jennifer chase, crime fiction, Matthew Weatherspoon, silent partner. Bookmark the permalink. I read the article and couldn’t find if the puppy found a good home. Mine is available if not. Poor little thing.